Utilized by the crew of the U.S.S. 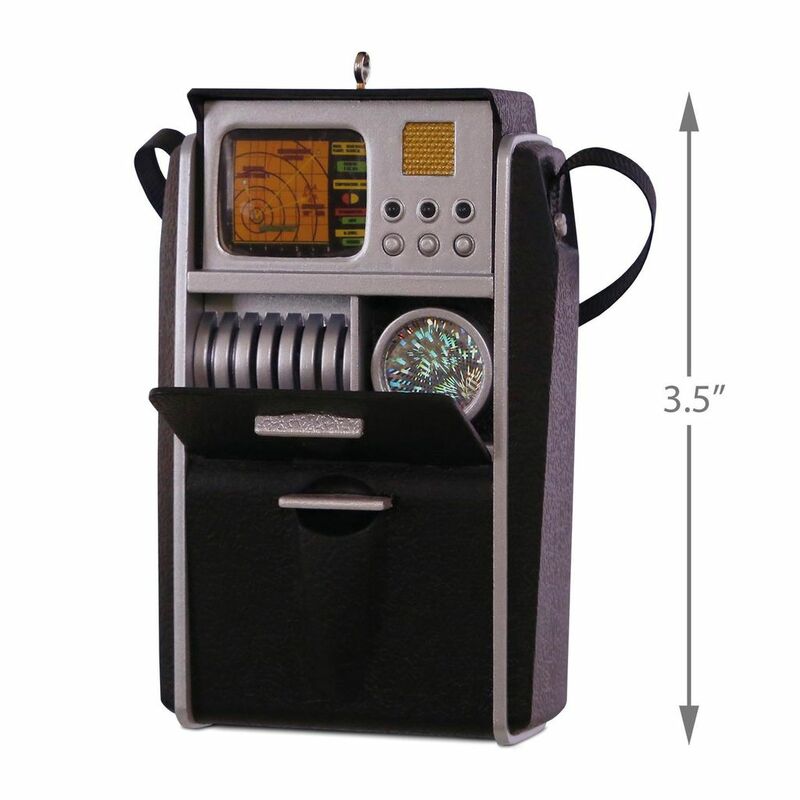 Enterprise, the handheld Starfleet Tricorder device proved vital for gathering, recording and analyzing data, particularly while exploring strange, new worlds. This must-have Christmas tree ornament lights up and plays authentic phrases from the original Star Trek™ series. Battery-operated light and sound feature includes three replaceable LR44 batteries. Plastic Christmas tree ornament is lead-free and measures 2.29" W x 3.5" H x 1.77" D.